How Might the Budget Debates Affect Children's Health Care? It’s July in Washington, DC, when congressional committees begin meeting to decide how much funding each government program will get next year. This is always a contentious process, but this year is shaping up to have more July fireworks than usual. The process got off to a strange start in March when House Budget Committee chair Paul Ryan (R-WI) introduced his budget proposal before the President introduced his. A highly unusual move, but not unexpected; the President’s budget is usually released in February, but this year wasn’t released until April (largely because of continuing questions about sequestration; another issue altogether which, for the sake of keeping you awake, we’ll avoid here). This year, however, seems to have its own unique set of issues, and they could have an effect on programs that help ensure kids’ access to doctors, such as the Children’s Hospital Graduate Medical Education (CHGME)—a program that funds training for pediatricians. For background, we need to get a little into the weeds of the congressional budget process. This year, the House and Senate never met to decide on a 302(a) level; thus each body is working with a considerably different budget number. The House is working with a level of $967 billion, and the Senate with a level of $1.058 trillion. This sizable gap is the source of the friction between the two bodies of Congress (and, as we’ll see in a minute, the President). Because it’s highly unlikely the House and Senate will be able to reconcile these differences, it will mean a showdown in the fall, when Congress will once again attempt to forge a continuing resolution to keep the government running. Only this year, they’ll also have to contend with the sequestration budget cuts (sorry, I said we wouldn’t mention those but it couldn’t be avoided) as well as the starting period for open enrollment in the Affordable Care Act’s health care exchanges – the funding for which congressional Republicans are highly unlikely to approve. The President is currently traversing the country and urging Congress to work out these differences to avoid a government shutdown. That’s the good news. The bad news is, because of the considerably smaller 302(b) allocation, the House Labor-HHS-Education subcommittee is working with nearly $43 billion LESS funding than its Senate counterpart. That means it will need to make substantial cuts to many programs to come up with a bill that fits within the overall spending cap. While nothing has been completed, it’s possible that CHGME funding could be reduced as a result of this huge disparity. There are already signs the House subcommittee is having trouble settling the issue, as a meeting to discuss the bill scheduled for July 25 was cancelled and has yet to be rescheduled. That means there’s still time to contact your legislators and tell them to support CHGME. Cuts to this program would hamper important training programs for pediatric specialists, who are already in short supply in many parts of the country. We’ll keep you posted as the budget process moves forward. Capitol Hill Medicaid Briefing Series Continues with “Keys to Kids Care: Unlocking Ideas to Improve Care for Kids in Medicaid"
As implementation of the Affordable Care Act continues, and as Congress continues to discuss proposals to reign in health care costs, it’s important legislators take note of impactful work by hospitals, non-profits, and other groups that improves care for children in Medicaid while reducing costs – both now and in the future. 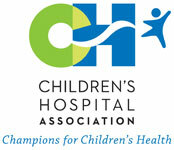 To that end, on July 12, the Children’s Hospital Association, in cooperation with the Congressional Children’s Health Care Caucus, hosted a briefing on Capitol Hill which explored three unique health care programs for kids. Titled “Keys to Kids Care: Unlocking Ideas to Improve Care for Kids in Medicaid,” the briefing brought together three panelists with unique insights into how Medicaid serves children and highlighted innovative efforts that improve health outcomes as well as help families better manage their children's health. Dr. Floyd J. Malveaux of the Merck Childhood Asthma Network (MCAN) spoke to asthma as the most common chronic condition among children and second most expensive. Treating asthma costs $8 to $10 billion annually and “is widespread, serious, and costly.” Half of annual asthma medical expenditures are paid through Medicaid. That’s the bad news. The good news is the number of kids with asthma can be lowered, and costs reduced, through evidence-based interventions that help identify kids with potential problems and lower their asthma risk. Dr. Malveaux illustrated numerous successful programs such as the HEAL Program in post-Katrina Louisiana that help reduce asthma triggers in homes and dramatically reduce long-term costs. Dr. Jocelyn Lawrence, outlined a unique program that targets potential health issues in kids before they become serious, thereby reducing long-term costs of care. Dr. Lawrence talked about the work done by the Dr. John T. Macdonald Foundation’s School Health Initiative, which teams public schools in Miami-Dade County team with the University of Miami Leonard M. Miller School of Medicine to provide access to primary care and nursing in underserved Florida public schools. Clinics are set up in the schools themselves, making it easier for children to make appointments. Dr. Lawrence noted that 85 percent of the kids at these schools are on reduced lunch programs, 32 percent are obese or overweight, and an estimated 25 percent have serious mental health issues. The School Health Initiative provides physical exams, immunizations, and many others to these kids free of charge. As a result, there has been a reduction in 911 calls and emergency room visits as well as vastly improved attendance rates in schools. Last year, a $4 million innovation award grant from the Centers for Medicare and Medicaid Services helped add dental and mental health services to the program, and extended services to the students’ families. These preventative services will, in the long run, save millions in emergency room visits and unpaid medical bills. More importantly it will vastly improve the quality of life for these kids. Dr. Sandy Melzer of Seattle Children’s Hospital focused on providing care for medically complex kids in the Medicaid system. These children have chronic, physical, developmental, behavioral, or emotional conditions, often affecting two or more body systems and requiring intensive care coordination to avoid excessive hospitalizations or emergency department visits. Typically they lack a medical home and likely have multiple providers, not all of whom are in communication with each other. In addition, many of these kids visit Seattle Children’s from outside Washington state triggering issues with the Medicaid programs in patients’ home states. There are 2 million children enrolled in Medicaid who are considered medically complex. Due to the level and intensity of care these children need and the cost of providing such specialized care, this population accounts for approximately 40 percent of all Medicaid spending on children. Building a sustainable model to provide coordinated care for these kids presents a number of challenges, the biggest being that care coordination is extremely difficult (in terms of tracking the patients) and expensive (because of staff and IT needs). But, as Dr. Melzer noted, there are numerous ways to save money. For example, interventions focusing on inpatient care and drugs can reduce costs by nine percent by providing care plans and medication reviews to patients, and can also reduce readmissions. Dr. Melzer also referenced a recent proposal by the Children’s Hospital Association, which would createnationally designated pediatric networks to support care coordination for medically complex children. The Medicaid Matters for Kids briefing series is also sponsored by the American Academy of Pediatrics, Family Voices, First Focus, Georgetown Center for Children and Families and March of Dimes.For more details on the remaining briefings in the series, please visit www.childrenshospitals.net/medicaidmatters. No words can describe the grateful feelings and the level of energy that spread over all the families, children, hospital staff, and CHA staff at the Speak Now for Kids Family Advocacy Day. I can say that I honestly feel that sharing Lily’s and all the others children’s stories impacted how the Ohio and several other state’s Congressmen and Senators will consider Medicaid coverage for our medically fragile children. They have all been through a great deal and many will continue to need continuous care at the amazing pediatric hospitals all over the United States. I want to thank Rainbow Babies and Children’s Hospital, Heidi Gartland, Dr. Lolly McDavid, Maureen Clark, Elizabeth and Christine Click, and Michelle Snyder in providing the support for Lily, Charles, and I to be actively involved in such an important initiative for children. I am sure all the families that were present are grateful for participating. We are all so proud of our brave and courageous children in the challenges they have had and will face in the future. I also want to thank Senator Brown, Senator Portman, Congressman Renacci, Congresswoman Kaptur, Congressman Jordan, Congressman Ryan, Congresswoman Fudge, Congressman Gibbs, Congressman Latta, and all their staffers for taking the time out of their busy schedules for meeting with us to share the experience, strength, and hope of the life and journey we are living with our amazing daughter Lily. We are counting on you, everyday, to provide children with the care they need with Medicaid coverage and the specialized training that pediatric physicians need to continue researching and loving our nations children.